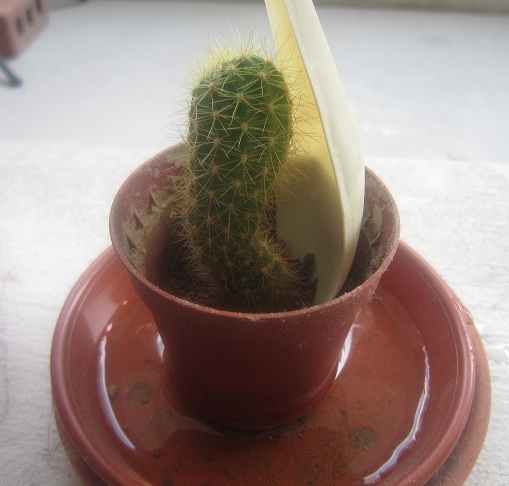 Last month, I wrote about my injured cactus with the extra support I gave it. I have read about plants having feelings and responding to music. Thus, during that critical few days, I played soothing music and talked to my cactus. The music was meant for it to heal and the talking was meant to encourage it to live on. After a few days of music and talking, I noticed that the cactus was “standing” on its own, no longer needed the support from the spoon. I still kept the spoon, just in case it wanted to rest and lie on something. As I see improvement, I continue the talking without music. 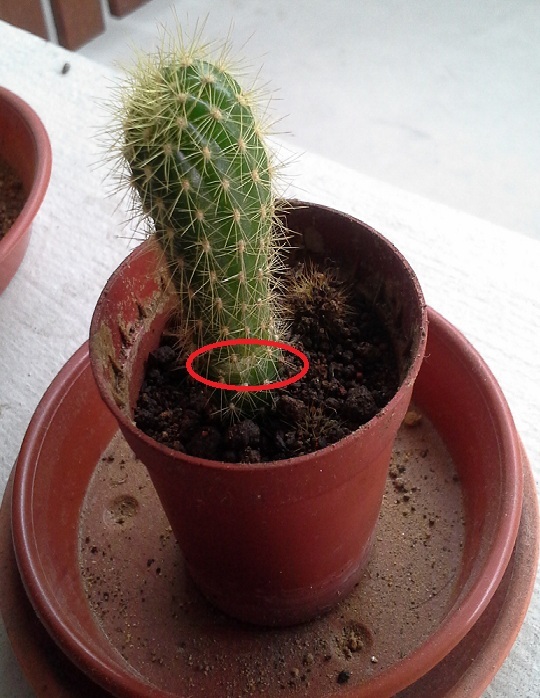 The below picture shows the self-healed cactus. From the picture, we can see that the wound is still visible, but it has dried and healed, no support is needed anymore. I believe human beings have similar self-healing power. When you are facing failure, be brave and endure the hardship. Listen to soothing music and talk to your family members and friends. With time, you will heal, like the brave little cactus. It is okay to lean on your support for a few days, but it is you who have the power to stand up again! Failure is not scary; the most important thing is to learn from the mistake and the ability to stand up again. 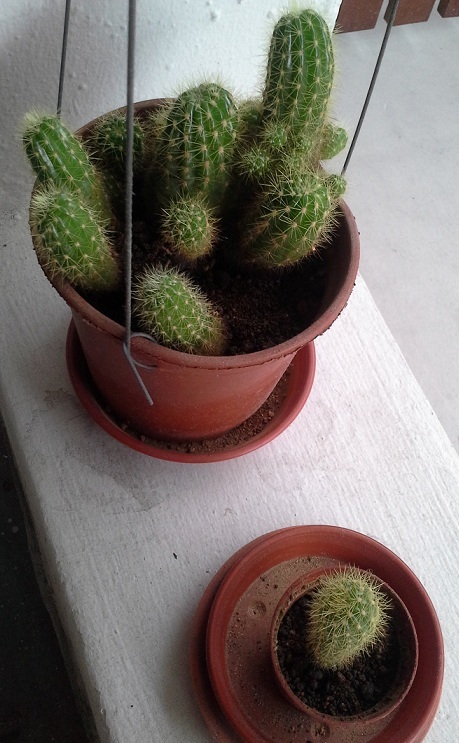 I hope you are like the brave little cactus, now living happily with its family members, as in below picture. By Wendy in Plants on 07/10/2013 .